Paul began his career with his local side, Chelsea, and started well, scoring on his debut against Derby County with an impressive solo effort. Thereafter, however, his career was stalled by injuries, successive managers' squad rotation policies and the signing of other midfielders like Roberto Di Matteo, Gustavo Poyet and Didier Deschamps. Chelsea won the 1996–97 FA Cup; Paul was left out of the squad for the final but played in the quarter-final against Portsmouth. The following year Chelsea won the European Cup Winners Cup (1997–98) and although he played in the earlier rounds of the competition he did not make the squad for the final in Stockholm. Over the next three years he only featured in 24 more games for the club, and had loan spells with Stockport, Crewe and Norwich, scoring against Swindon Town. Paul joined Southampton, then managed by his old Chelsea manager Glenn Hoddle, on a free transfer in the summer of 2000, but due to a lengthy groin injury and subsequent change of manager, left a year later having never played a game for the Saints. His next club was Luton Town, where he remained until May 2006, making 88 appearances and scoring seven goals for the club helping them gain promotion from League 2 and become champions of League 1. 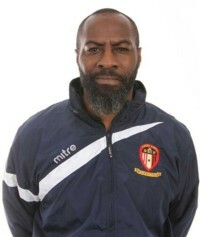 In 2012, he was appointed joint manager at Kings Langley alongside Ritchie Hanlon. The pair led Kings Langley to back to back promotions, finishing 2nd in Spartan South Midlands Division One in 2014, and then winning the Spartan South Midlands Premier Division title in 2015. 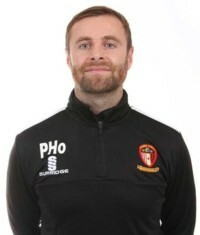 Following a third consecutive promotion that saw Kings Langley FC become champions of the Southern Central Division and took the club to the Southern Premier Division and then Paul, alongside Hanlon, moved to Hayes & Yeading United in November 2016. 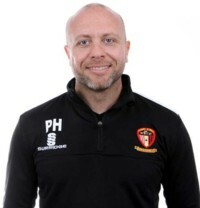 Having been unable to stave off relegation in his first season and with Ritchie departing soon after due to personal reasons, Paul took sole control of the side and led United to the play-offs in 2017/18 where defeat to Cambridge City denied United promotion. 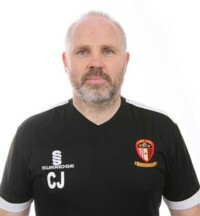 Having switched to the newly created Bostik South Central division this season Paul is hoping that he has assembled a squad capable of not only gaining promotion but of going up as Champions, time will tell on both counts.